We never want to limit or hold you back, so we offer over 100 trading instruments for you to choose from. At ForexTime we've definitely got you covered on all you online trading needs, whether you're a beginner or a pro. Time is money, and following this philosophy, FXTM provides some of the best execution records in the industry. On average, the execution on our MT5 ECN account is in milliseconds. We’ll reimburse any fees that are charged to your ForexTime online trading account when you make a deposit. We’re also into providing instant withdrawals so that we don’t keep you waiting. 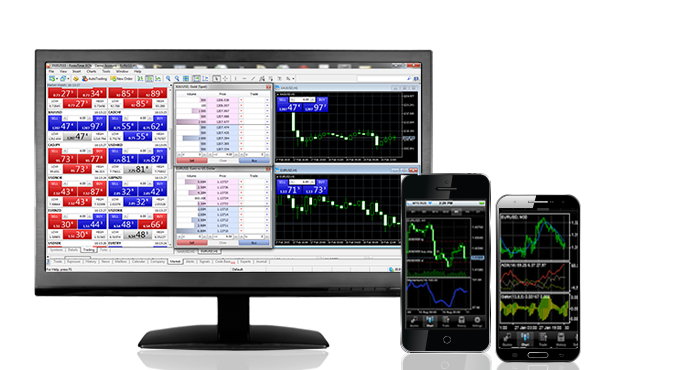 MetaTrader 5 is available for your PC and Mac. Plus it's available for iOS devices such as your iPhone and iPad, as well as Android devices for the MT5 ECN account. Trade while you're at your desk or even when you're on the go! You can really take advantage when trading with ForexTime as we provide fixed and variable spreads. Our spreads are among the lowest in the industry, starting from just 0.2 on the MT5 ECN account. Whether you want to use MetaTrader 5 to trade Forex or spot metals such as Gold or Silver, we’ve got you covered. We also provide regular competitions and bonuses to all our traders. Fill out registration form at the top of this page and download the FXTM MetaTrader 5 platform.